Concrete needs protection regardless of where it’s located. protective material to choose for the various conditions. Total floor protection should be part of any study or evaluation for new or old concrete floor protection. The thorough process for selecting a coating or topping system, the writing of a detailed specification, and the preparation of detailed application procedures and final acceptance criteria will give the owner a basis for choosing the right system. There is a very complete selection process to narrow the search for the right product and application for floor coatings. Remember, you must not only select the material, but also a total system in terms of application, total thickness, and aesthetics. Is the surface distressed in any way? Does it have cracks, spalls, or unevenness? Does the coating system require a level floor or one that slopes to a drain? Patching, repairing, and leveling are as important as the coating system and would require a whole separate article to discuss thoroughly. It is important to say, however, that any material used to level, patch, or slope must be compatible with the total system. A cheap, low-performance patching and leveling material can ruin an otherwise good coating. It is also good practice to allow the same contractor that is doing the final work to make any needed repairs. What type of surface preparation is needed for the area in question?Surface preparation is the most important step in the installation process and is critical to long-term performance of the total system. Unfortunately, there is no one “best way” to prepare the surface. The coating selection (thin film or thick) will have a bearing on the type of preparation. Or, to put it another way, the required surface prep can dictate the type of system from a thickness standpoint. A thinfilm coating will require preparation that will not leave a heavy profile. A heavy profile may require a leveling or fill coat before the thin film installation. This could double the estimated material cost. 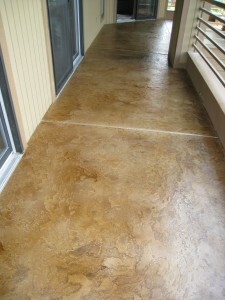 It is also important to remember that new concrete requires proper preparation just as does any old surface. Curing compounds must be removed, a proper profile or roughness achieved, and any surface laitance removed. Chemical exposure. Severity of exposure and types of chemicals are both very important. Materials differ widely in chemical resistance, making identifying the exposure very important. Common splash and spills also are far less critical than constant immersion. Abrasion. The amount of wear or traffic a surface will take is an important criterion. Whether there will be steel-wheeled traffic or rubber-wheeled traffic is critical. Any surface exposed to steel-wheeled traffic requires special treatment for long-term wear. Impact. Heavy loads and direct impact require a heavier build or thicker floor system. Thermal Shock. Temperature fluctuation or thermal shock is an important condition that must be considered. Thermal shock, such as steam cleaning of the floor surface, will cause a loss of bond from thermal expansion if the floor system is not chosen properly. The coefficient of expansion of most coating systems is much higher than for concrete and must be carefully considered when selecting a material. Once you have identified the degree of severity of the major areas of abuse, you must rank them in order of importance for the particular project. This will provide a major focus for what is needed in terms of material and applied thickness. The last of the material selection process is possibly the most important. It involves how the coating project is going to look aesthetically, how it’s to be applied, what the time frame for installing the system may be, and last, but certainly not least, what are the budget parameters. Other considerations are often overlooked when selecting or specifying a floor coating system. These lesser considerations don’t necessarily contribute to the function of the system, but are important as far as being able to install a particular system and assuring owner satisfaction. Aesthetics. The final appearance of the floor surface is more important than many people perceive it to be. How an owner thought the floor was going to look versus the final appearance is sometimes widely divergent. Today, the same performance characteristics can be obtained with a variety of decorative appearances and surface textures. Installation parameters. In many cases, a flooring project has a very tight installation schedule. This limits many systems in how long it takes to install a given material. In occupied areas, the odor of some solvent-based systems or the inherent odor of the material itself will limit its use. Temperature of the surface at the time of installation is critical in selecting a material. Some systems, such as epoxies, are very temperature-sensitive and can vary widely in cure time at lower temperatures. Life expectancy. Owners want a flooring system that will last forever, and will be guaranteed. In actuality, a given system will require maintenance periodically. Maintenance procedures must be clearly outlined and understood for a realistic life expectancy. Economics. Economy is the top requirement. At times, low-cost systems will prevail at the expense of more durable systems. Generally, when other parameters are exhausted, you get what you pay for. Another generally accepted maxim is that the thicker the applied system, the better the performance. The primary reason to go through a material selection process is to get the proper material for the application under consideration. It is critical to review technical data, performance characteristics, and installation procedures for those that have survived the elimination process thus far. The technical data and performance review can be difficult for most engineers, owners, and specifiers because there is a lack of standard form of data presentation. The following table will provide some differences in technical data and performance based on applied thickness. Various ASTM test methods, Federal Standard Test Procedures, Corps of Engineers test methods and others are used by formulators to best present their products. In many cases, the reviewer must compare test method to test method to find the differences in the reported values. Professional assistance is suggested to completely understand the data. Remember the key conditions they must meet for best performance. Polymer type: epoxy, polyurethane, polyester, vinyl ester, acrylic, methyl, methacrylic, orothers. Appearance. Is the floor both functional and decorative? Finish. Is a smooth or textured finish preferred? 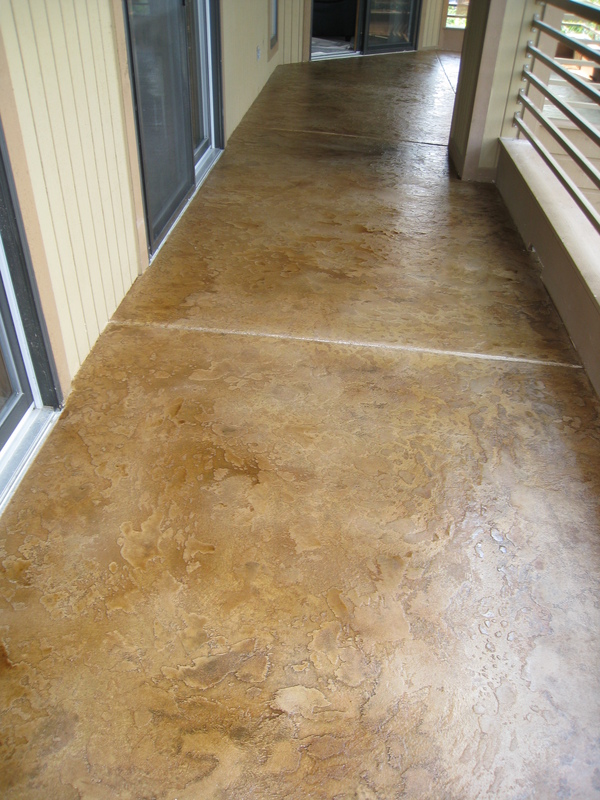 There are thousands of formulations for various polymer coatings for concrete. Each one is different from the next one. Epoxies and polyurethanes are the most commonly used polymers. In each type, performance and data vary significantly. As a very general comparison, however, urethanes are used for thin film to high build coatings, have excellent abrasion and wear resistance, excellent gloss retention, and good to excellent stain and chemical resistance. Some urethanes have excellent elastomeric properties and, together with their low permeability, are used extensively in waterproofing applications. Most urethanes are solvent-containing coatings. Recent governmental mandates by the Occupational Safety and Health Administration and the Environmental Protection Agency have made it necessary to lower their volatile organic compound content. Once the system has been chosen, the material must be applied and the job inspected and approved. The choice of an appropriate contractor to install the system is just as important as the material used. A contractor trained to install a particular system (thin film versus thick overlay) is critical. Once the system and the contractor have been selected, coordination among parties must be maintained for best performance and user satisfaction. The job does not end with the application of material. A long-term review, maintenance, and repair program should be established for continued performance and satisfaction. Floor surfaces take continuing wear, abrasion, and impact. Even the most durable surface will show areas of distress that require attention. A small amount of attention before installation will prolong the life of a flooring system. As years go by, the success of the project will depend upon the coordination between the flooring specialist and the facilities manager. The result will be a trouble-free floor at lower cost.